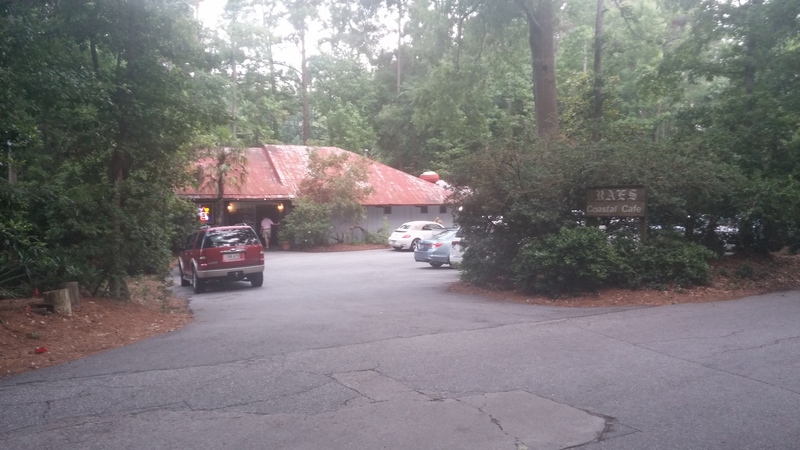 Two of my best friends recently took me to dinner at a place more than 153 miles inland from the Georgia Coast located in my hometown of Augusta, Georgia. They promised it would be “right up my alley” and said I should “be prepared to blog about it.” Though it’s been open since I was nine years old, that Friday night was the first time I’d ever heard of it or set foot through its doors. Tucked away in a small community at the west end of Walton Way, Rae’s Coastal Cafe transported me to the islands the moment I stepped inside, perpetuated only by the best Key Lime Pie Martini I’ve ever had, and a house salad that rivaled my go-to Caesar and sailed away with my heart. The cafe touched on every indicator I consider noteworthy about a restaurant: 1) It’s independently owned, 2) The local, casual atmosphere was well done–coastal but not in an obnoxious way, 3) The food was excellent and 4) The service was informed. 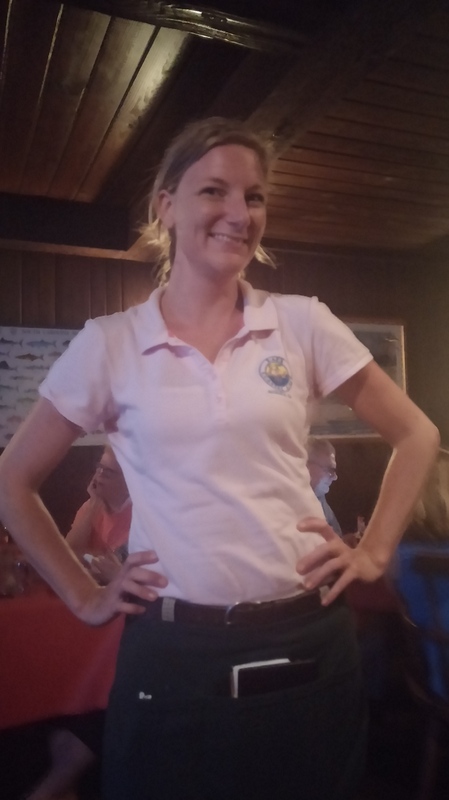 Meet our waitress, April. Servers have the ability to make or break a dining experience and if they’re on point, nine times out of 10, your visit will be too. April was well-informed on the menu items, at the ready with refills, and intuitively aware of when to ask if we were ready for the next course or if she could take our empty plates. As a first time visitor, she sold me on the house salad when I routinely ordered a Caesar, and I’m so glad I took her word. Super friendly and seemingly happy to be at work, April enhanced our meal and represented Rae’s expertly well. 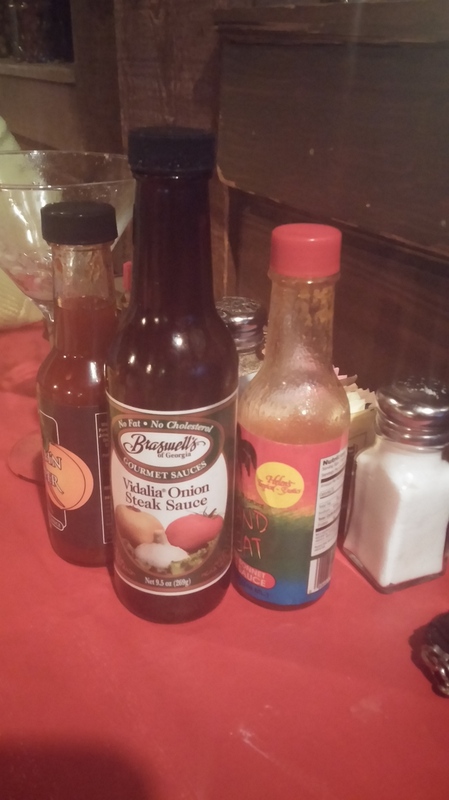 There on the table, much to my surprise sat a product from good ol’ Statesboro…Braswell’s Vidalia Onion Steak Sauce. That made this Statesboro food writer proud. The meal began with fresh-baked rolls, served with spreadable butter, followed by Rae’s Famous House Salad, known as an Augusta favorite. A simple combination of fresh greens and tomatoes tossed in a homemade dressing, the salad is plated in a cold, pewter-like bowl and topped with crunchy croutons made in-house. It was everything one could hope for–light, tangy, crunchy and refreshing. I ordered the Blackened Mahi-Mahi, a healthy 9 oz. fillet topped with Cajun spices, seared in a cast iron skillet and served with new potatoes. April informed me that Rae’s uses the same spices on the fish as in their famous Jamaican Jerk Chicken. 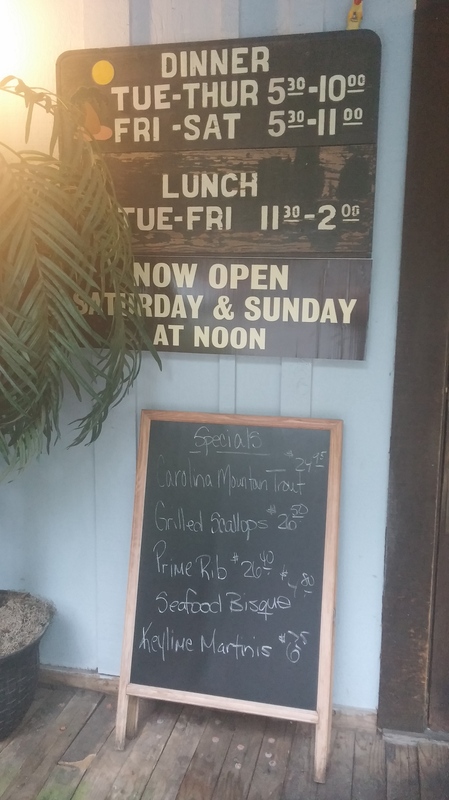 The Mahi-Mahi had the perfect kick to it and together with the buttery potatoes, I was happy and satisfied. My friends shared the special that evening: Carolina Mountain Trout with crisp green beans and new potatoes. For dessert, we tackled a slice of Chocolate Cheesecake made with Kahlua and drizzled with raspberry syrup. Other tempting menu items included Coconut Fried Shrimp, the Crabmeat Sandwich (yes, that’s right. Not crab cake, crabMEAT! ), the Dolphin Sandwich and Filet Mignon. Chicken, steak, seafood…they do it all! It’s a good thing that I no longer live in Augusta because I would have to have this drink in my life every day. 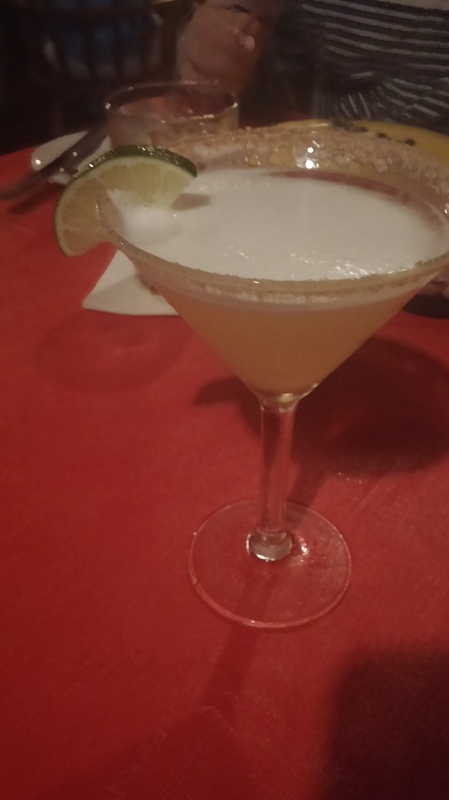 Rimmed in a graham cracker crust, the Key Lime Pie Martini was the most balanced blend of sweet and tart I’ve ever experienced. It was like drinking pie. Move over Malibu Bay Breeze, there’s a new sheriff in town. Dining at Rae’s Coastal Cafe felt like an episode of Cheers. The owner, Walter, makes his way through the restaurant greeting guests and shaking hands. You’re bound to run into someone you know there. 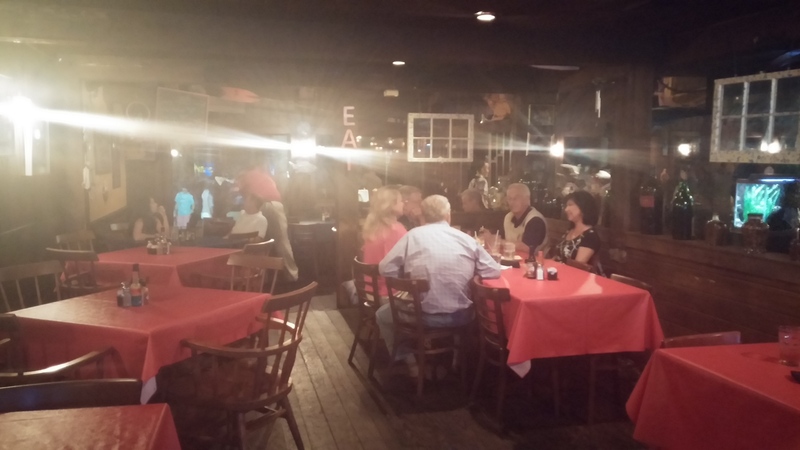 It’s a comfortable place where people go to enjoy good food and good company…after all, that’s what it’s all about! My friends, Levi and Angela. 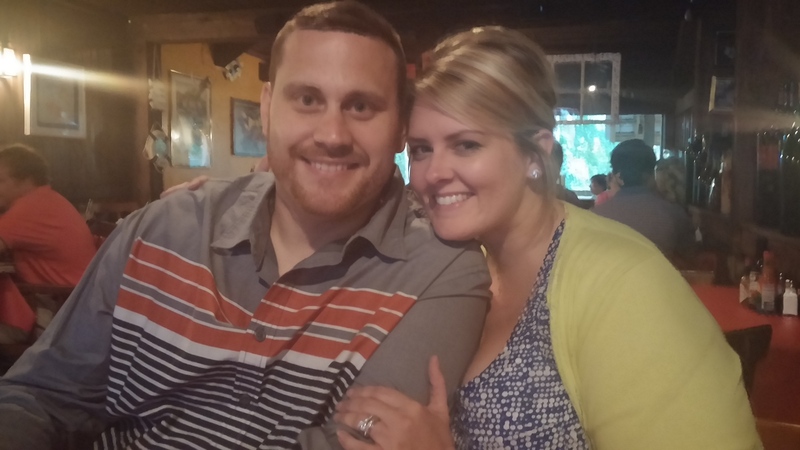 Special thanks to these two (who just celebrated their 10th wedding anniversary!) for a wonderful evening out. Y’all know me well.